Do you have model dinosaurs that you play with? Bill and Bob have, they’re mad about dinosaurs. At the bottom of their garden by the back gate is a rockery. lt had become a bit overgrown with lots of straggly dead plants. lt was beginning to look terrible and needed to be tidied up. Then last summer, Bill and Bob’s dad hit upon a fantastic idea. He told the boys he was going to make them a dinosaur land! 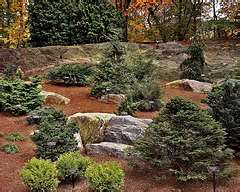 Of course Bill and Bob thought it was the coolest idea ever for a rockery design and so were only too keen to help him clear it out. All the dead plants were pulled out and put on the compost heap. Then when the rockery was completely tided up they put some fresh compost between the stones ready for planting. Their dad explained to them that in dinosaur times the Earth looked different from modern times. 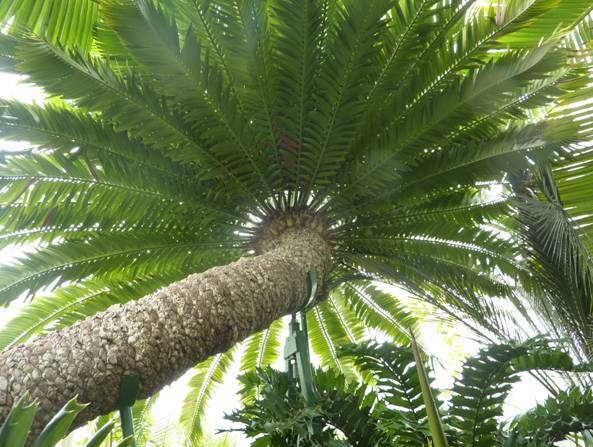 That is because there weren’t the variety of plants that we have now. 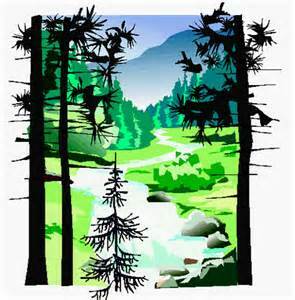 The animals were different and the plants and landscapes were too. 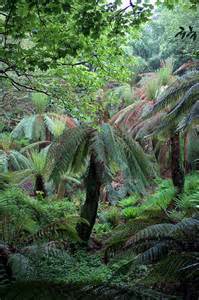 The plants that grew then were mostly prehistoric ferns and conifers. Some of which we can still see today. 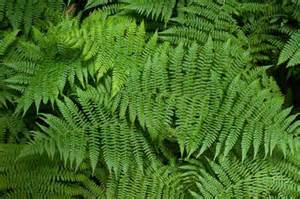 Ferns are plants that don’t have flowers that make seeds. 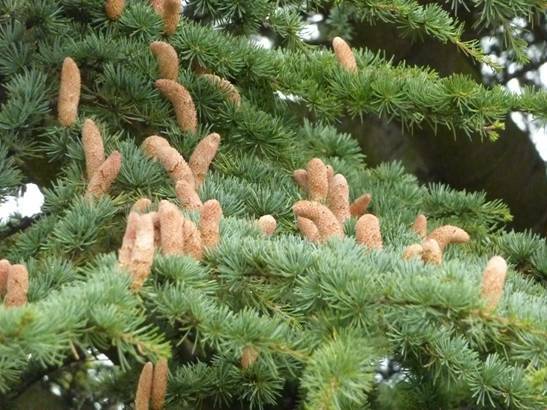 They make new plants by spreading something called spores. These come from tiny cases under their leaves. 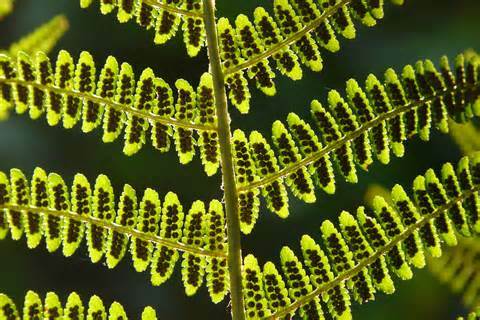 Ferns were on Earth 200 million years before flowering plants evolved. They were here even before dinosaurs. 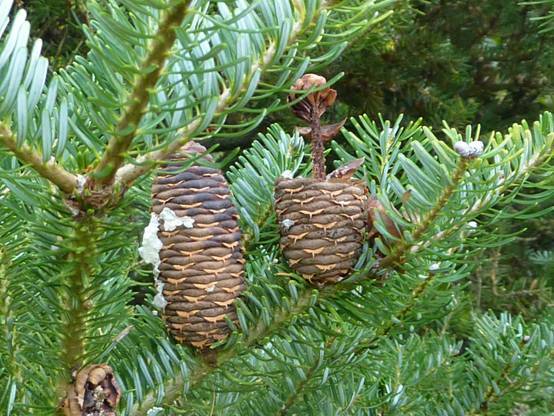 Conifers are plants that do have seeds. 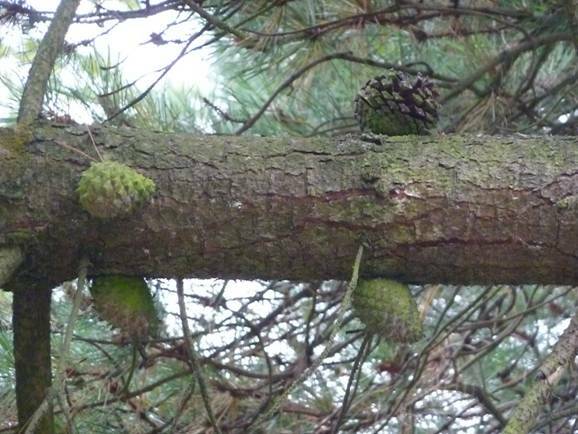 The seeds grow inside cones and when they are ripe, they blow away to start growing some distance away from the parent tree. 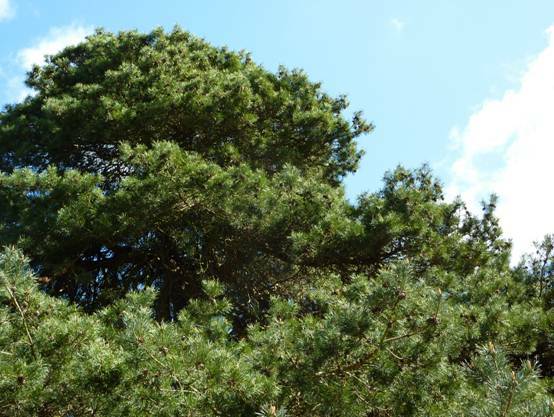 Conifers have been on Earth for at least 300 million years. 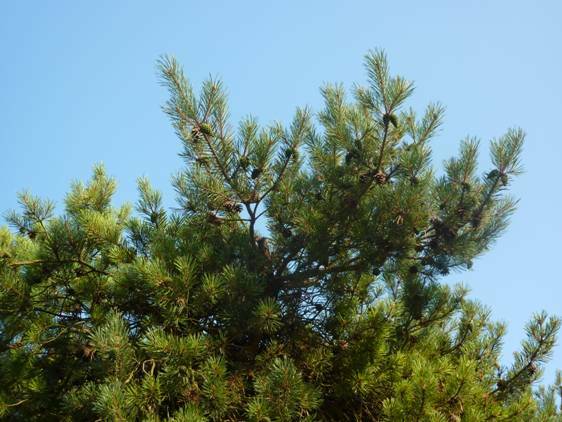 Conifers are different from deciduous trees which lose their leaves in winter (Blog Post 121). Most of them remain green all winter. 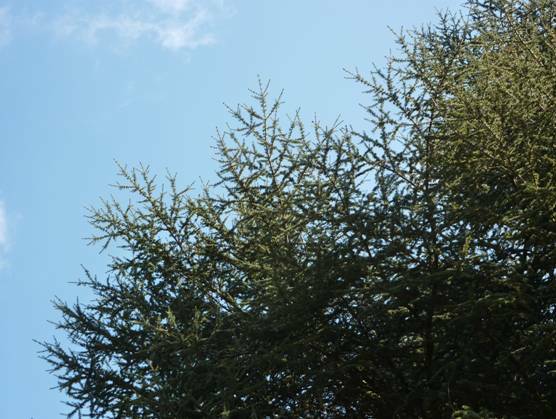 The larch is one conifer that loses its needles over the winter. 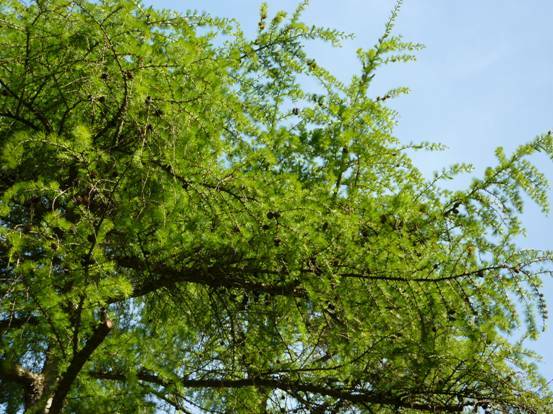 The needles turn an orange-brown in autumn and fall to the ground and then the tree will grow back new needles in the following spring. 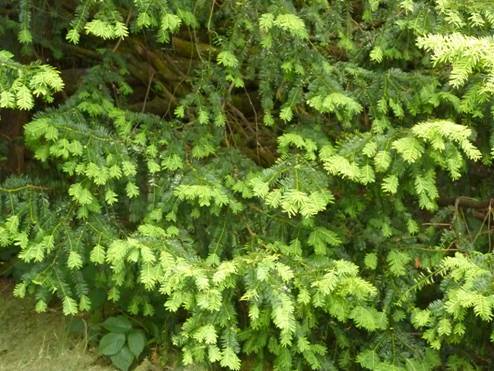 There are lots of different types of plants that don’t lose their leaves in winter and these are called evergreen. 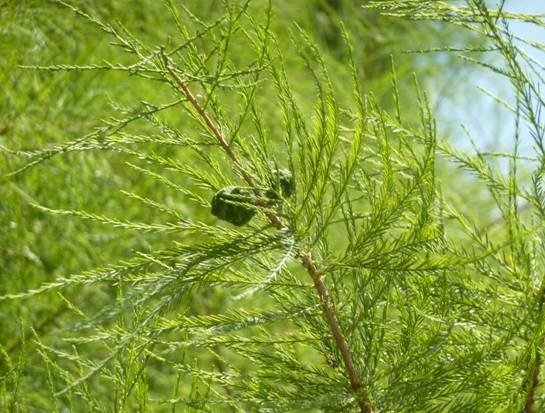 Evergreen trees have a sort of waxy protective coat on their leaves or needles. 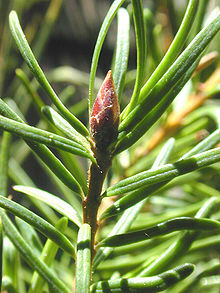 This is called a cuticle and it helps to conserve water and protect the needles from cold winter winds. 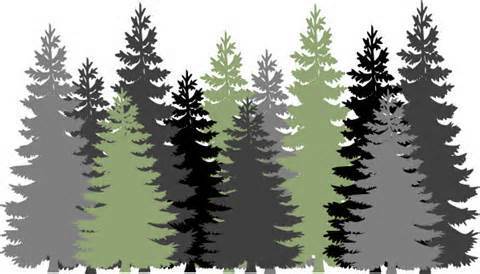 So conifers don’t change their appearance as much as the deciduous trees do in the winter. 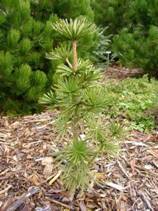 Conifers are usually a type of evergreen tree. 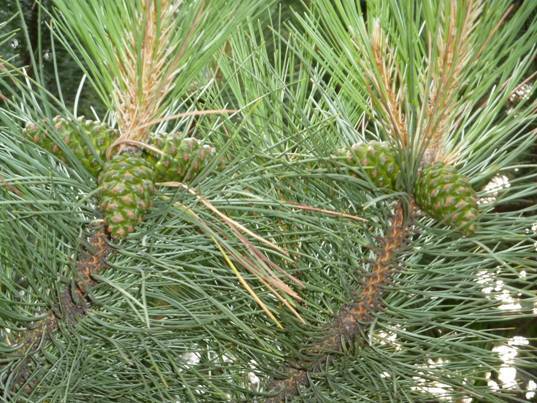 Sometimes their needles are quite spiky and sometimes they are quite soft. There are many different shapes as well. You have probably heard of an invisible line running around the world called the Equator, and also two others called the Tropic of Cancer and the Tropic of Capricorn (between which, lie the tropical regions). 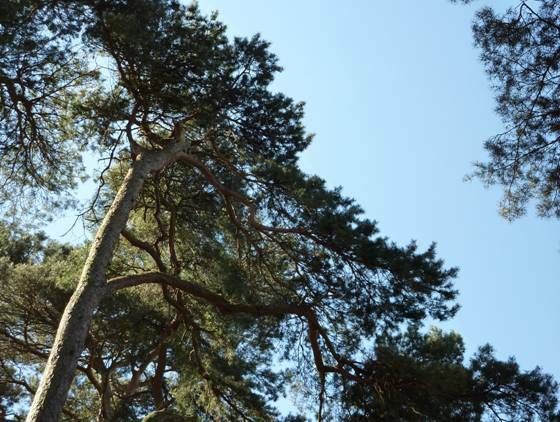 Well, there is another invisible line running around the world and above this line is a region (at the top of the world) called the taiga; in this region, deciduous trees will not grow; only evergreens. 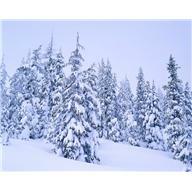 ln this place, there are often heavy snowfalls and it is very cold. 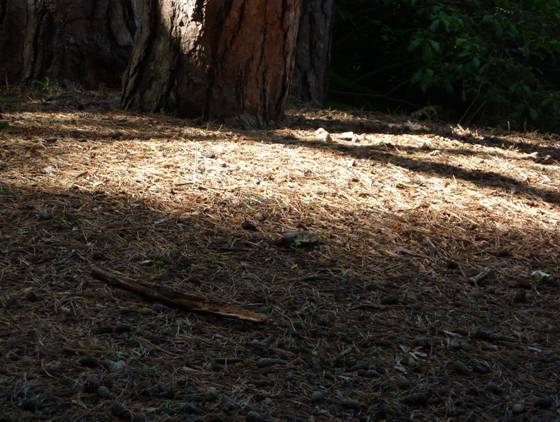 Anything that lives there, animals or plants, has to be able to cope with very low temperatures. 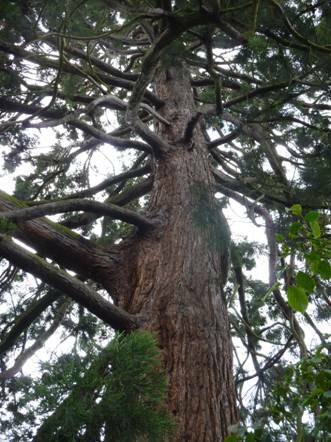 lnterestingly, there are more trees in the Northern Hemisphere than the Southern Hemisphere. 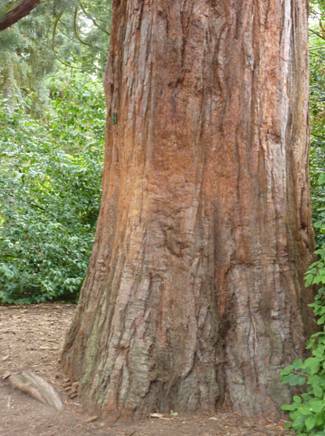 This is because there is more rain there; big trees need a lot of water to drink. 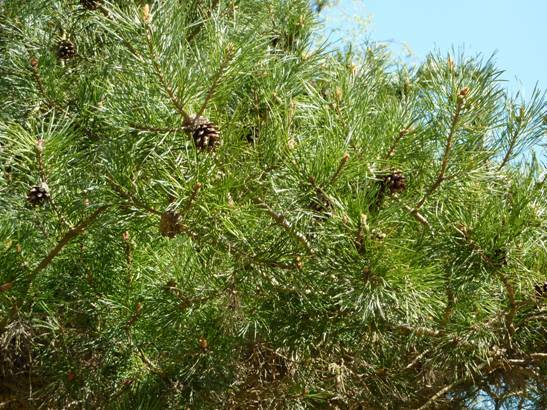 Bill and Bob’s dad said that, luckily, it is possible to buy miniature conifers which would be perfect to put in the mini dinosaur kingdom they were trying to build. 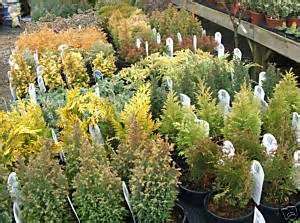 So they all went down to the Rocky Bay Plant Nursery to see what they could find. After only one afternoon of hard work planting up the rockery, it was transformed into a wonderful land for model dinosaurs. 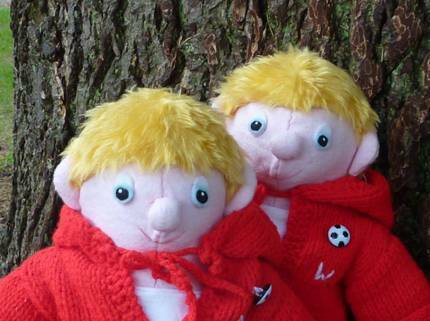 Bill and Bob were thrilled with it! And now we are in the middle of winter and a lot of the branches are bare, Bill and Bob’s dinosaur kingdom is still very green and lush. Bob: Why did the dinosaur cross the road? Bill: l don’t know. Why did the dinosaur cross the road? Bob: Because there weren’t any chickens in those days! 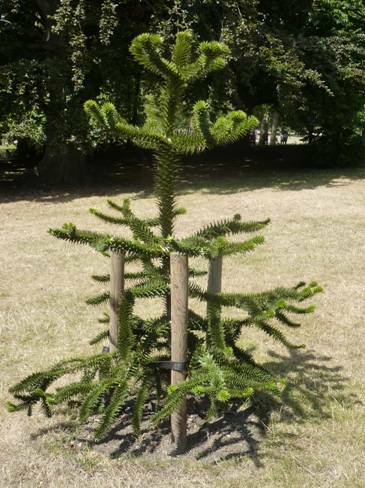 A newly planted monkey puzzle tree – not a tree for small gardens! 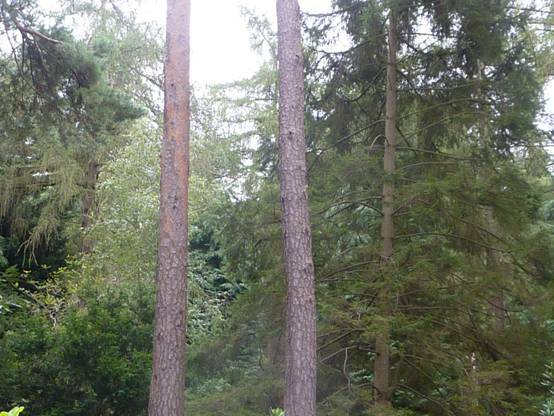 Conifers for sale – check the maximum height they will grow to on the label! 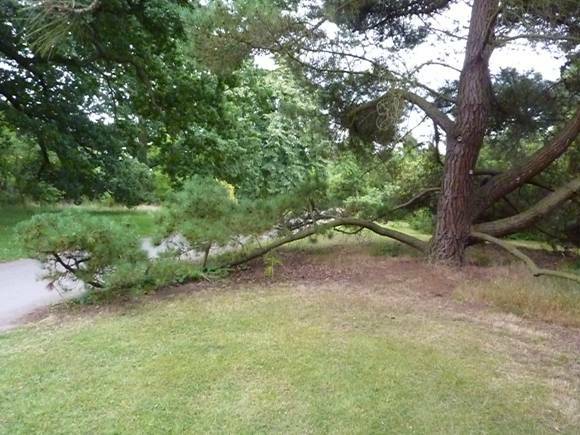 Be careful the conifers you choose won’t become too large for your garden! What do you call a dinosaur that’s short sighted? Well of course that is just a little joke because as you know there weren’t any people around at the time of dinosaurs. Dinosaurs died out long before people evolved. Dinosaurs roamed the Earth for over 160,000,000 years. People have been around for about 2,000,000 years. 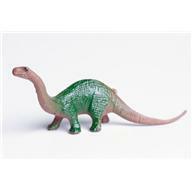 The biggest dinosaur was the titanosaur measuring 6m high and 40m long. It lived 100 million years ago. 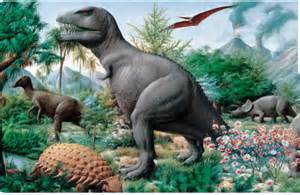 We know these dinosaurs lived in Patagonia in South America because fossils have been found there. The titanosaur is the biggest animal the world has ever known. The most famous dinosaur is probably the tyrannosaurus Rex. Children love them because they look so ferocious. Several fossilized skeletons have been found and put on show around the world for people to get an idea of how truly big they were. These animals were up to 12 metres long and 7 tonnes. 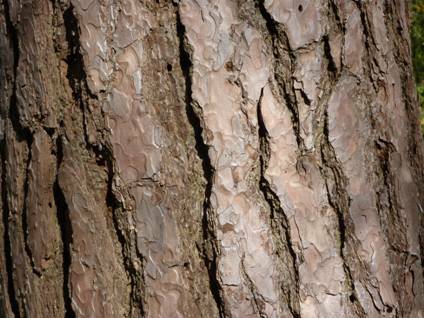 A fossil is actually made from rock-like minerals that are bone-shaped. It is the same shape as the dinosaur bone but the original bone has been replaced by minerals. The process of fossilization is the dissolving and replacement of the original bones with other minerals that come from the earth that covers the animal up after it dies. And of course not all animals fossilize. 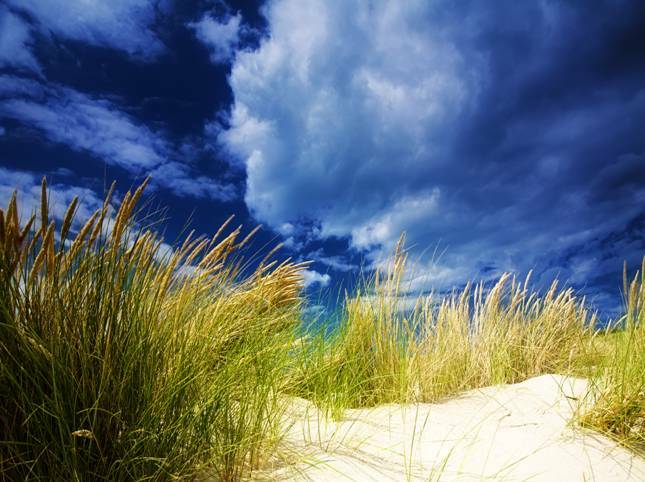 The conditions have to be right for this to happen and most remains decay away. In fact, a lot of exhibits in museums are actually replicas made from fibreglass. Different parts of the world have thrown up different kinds of dinosaur remains. In dinosaur times, there were different animals in different parts of the world just like there are today. Dinosaurs’ bodies were a lot like the birds we have today. In fact, birds are living dinosaurs. Look at an ostrich from the side, look at its legs and the way it moves. Doesn’t it remind you of a dinosaur? 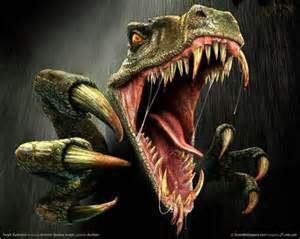 So did dinosaurs all have reptile skin on their bodies or did some of them have feathers? The more remains that are found, the more scientists know about dinosaurs. There have been more T-Rex skeleton-fossils found in Montana, USA than in any other part of the world. It was here that scientists found a skeleton that amazingly still had cells, proteins and even 68 million year old soft tissue. It was parts of the dinosaur itself! They may even possibly have found DNA. So will ‘Jurassic Park’ still be possible? 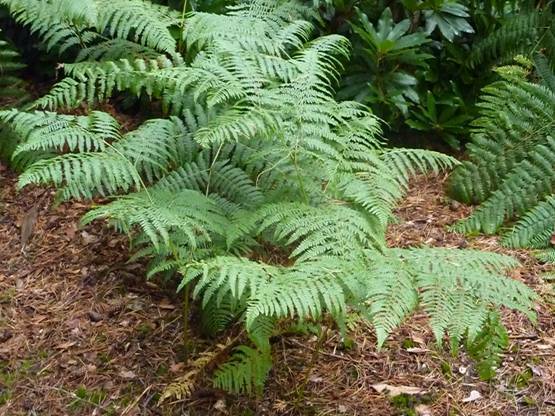 If you don’t want dinosaurs in your garden, but prefer to keep guinea pigs instead, then there are a few things you have to remember to keep them happy. They live for 5-6 years, so are a long-term commitment. Their hutch should be at least 1.5m/5 feet long in order to give them plenty of space. You will need to put hay in their litter tray and over the floor of the hutch. 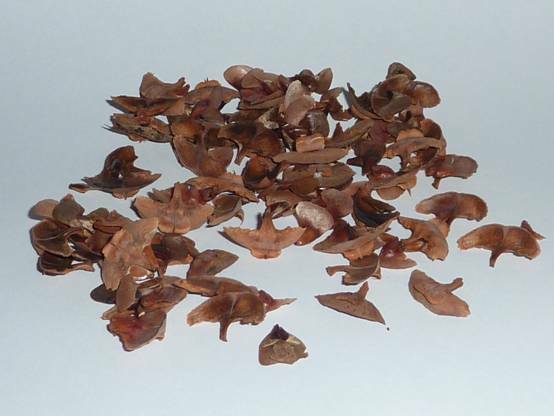 Never use wood shavings or sawdust for their bed. Don’t leave the hutch outside in the garden in bitterly cold weather. They need to be kept in a group with lots of friends as they are what is known as a herd animal. Remember that 80% of their diet should be fresh, sweet-smelling hay and they can also eat grass out in the garden when you put them out in their run on a nice day; for at least 4-6 hours every day. They won’t want to be outside on a cold winter’s day so they will need an inside guinea pig play pen with tunnels that can be bought from a pet shop and hidey holes like flowerpots or folded blankets or towels. They would also like willow and fruit tree twigs (apple, pear, cherry) to chew on. They can eat carrots, cabbage, turnips, curly kale and broccoli. They also like blackberry, strawberry, dandelion, mint, plantain and raspberry leaves. Put a bowl in their hutch half-filled with their dry food – plain pellet food is best (it doesn’t have added colour and helps to wear down their teeth, which is a good thing). Wash this bowl at least once a week. If they are off their food, it might be because their teeth are too long. Don’t forget to give them fresh water every day in a guinea pig water bottle. Keep one spare bottle in case one gets broken. Don’t put it up too high so that the piggies strain to get at it. Clean the bottle thoroughly once a week with a bottle brush. 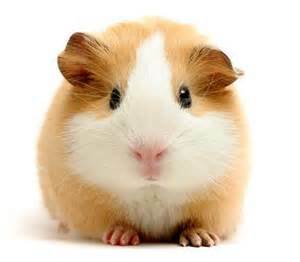 Also check your guinea pigs’ coats and claws regularly – at least once a month. Claws need clipping every month. Cut only the white part not the pink part and don’t do it with a shaky hand. Get a vet to show you how to do this properly if you don’t know how. 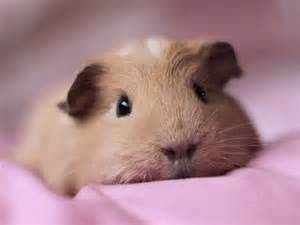 Guinea pigs will need a bath about four to five times a year with a special guinea pig shampoo – don’t forget to wash around their ears. Put a towel in the bath so that your piggy doesn’t slip when you are showering them. Remove the shower rose first and hold your pet at an angle to keep the head up so that the water runs down their back not onto their face. Test the temperature of the water on your own hand before you begin – not too hot or cold. Wet the piggy, then shampoo him or her according to the shampoo manufacturer’s instructions and after a while rinse the shampoo off. Rub the piggy down with a warm towel and keep them indoors until they are dry. Give them some treats after their bath – they deserve them. Clean the hutch with a pet disinfectant before you put your piggies back. Find a good pet shop that can give you advice on buying food and accessories. 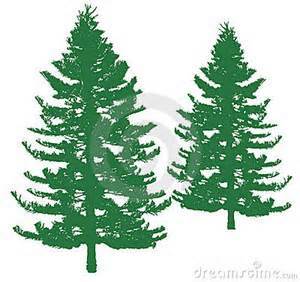 A conifer shape is easy to draw, easy to work with and instantly recognisable. 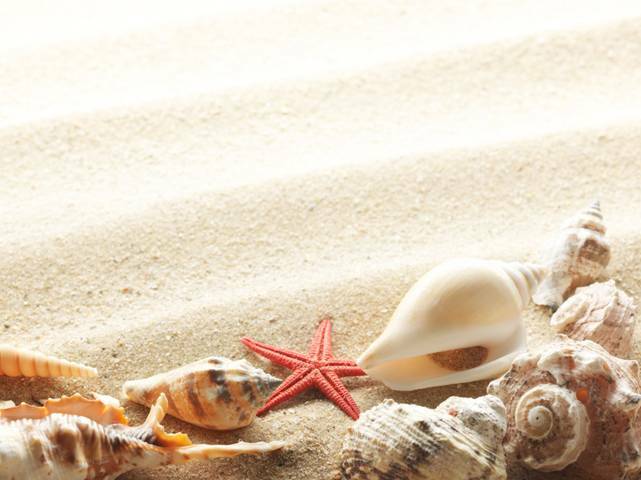 There are many ways you can use it to add a seasonal touch to items around the home. When embroidering any item that will be seen from the back like a napkin or table cloth it is a good idea to choose a pattern to use that is not too complicated and will, therefore, not be too messy when seen from behind. This conifer design is made from a series of strips of embroidery stitches. 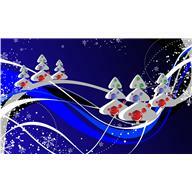 You can use it to decorate tableware or bed linen. 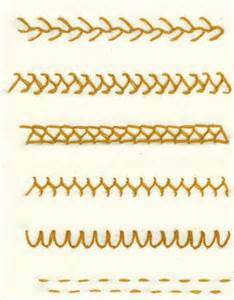 Or if you want a simpler shape, use a triangle with a square pot at the bottom and embroider a random pattern inside the outline. 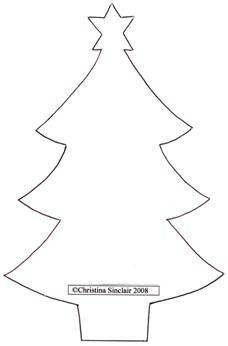 Mark out the outline of the conifer to begin with to help you keep your stitches straight. 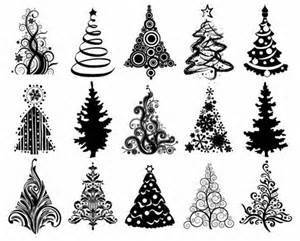 Make a paper pattern so if you embroider more than one tree, they will all be the same size. Fold the pattern in half so that you can check that it is symmetrical before you use it. Don’t sew your motif too close to the edge of the fabric if you want to hold your work in a hoop. Otherwise you could make your own napkin out of the fabric after the motif has been worked. You could decorate a plain tablecloth you have bought ready-hemmed from a shop. You can put the trees around the edge or in a random pattern across the whole cloth. This cloth would be perfect to put on a side table with all your sweets and nuts at Christmas. You can use one shade of green, several shades of green or a green rainbow thread. 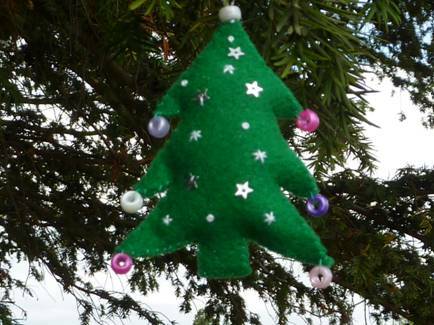 Of course you don’t have to embroider a green tree at all; it could be any colour you like and you can use any stitches you feel you can do well. 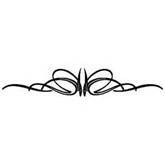 The design in the chart below can be used on fabric or used around the bottom edge of a sweater. 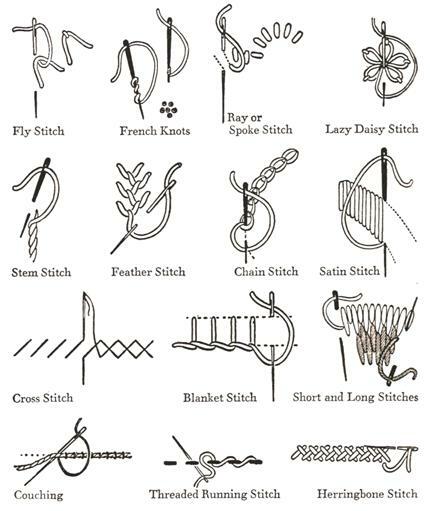 Swiss darning would be the easiest thing to use. Alternatively, you could embroider the same panel on a piece of fabric, cut it out and turn it into a hanging decoration. But don’t forget to allow extra around the sides for hems! Sew right sides together leaving a gap in the bottom centre for turning and stuffing. Turn out the right way and lightly stuff. Sew up the gap incorporating a rectangle of felt to make a trunk. 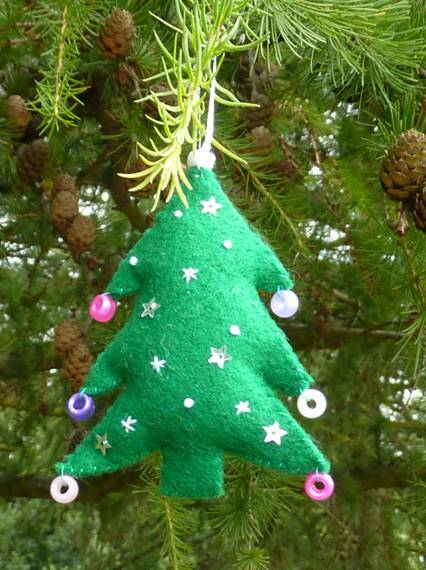 Make a loop and push the ends into the top of the tree – sew into place. 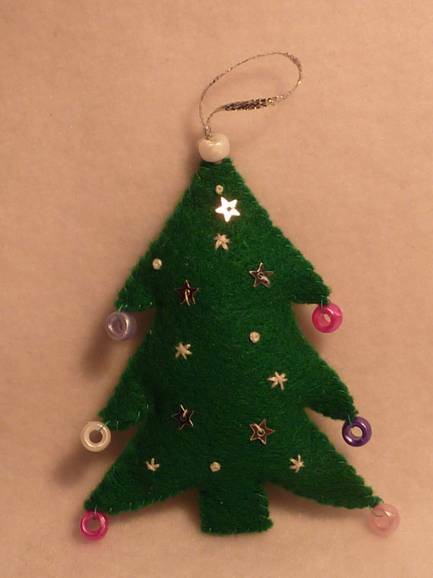 Or you can make a plain felt decoration and decorate with beads and sequins. 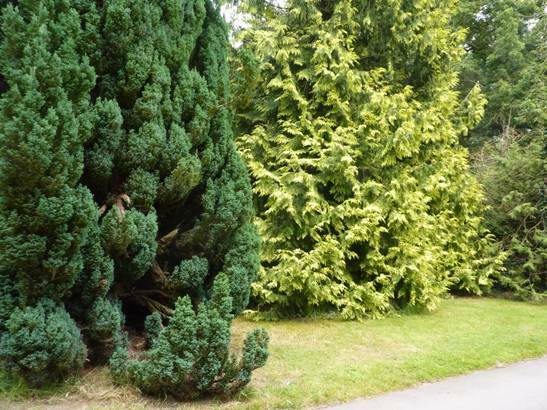 You won’t need seam allowance for this conifer. 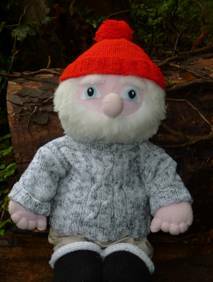 Don’t embroider your pattern too close to the edge and over-sew the edges wrong sides together leaving a gap to add a little stuffing before you finish sewing. 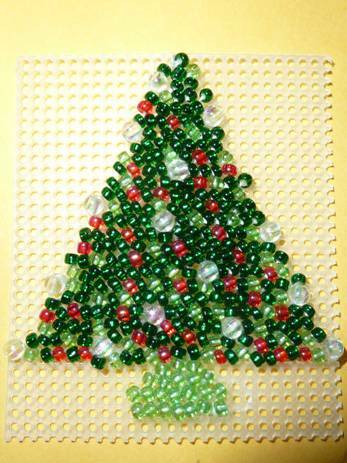 If you can find a piece of plastic canvas with very small holes, you could construct a conifer entirely of beads. 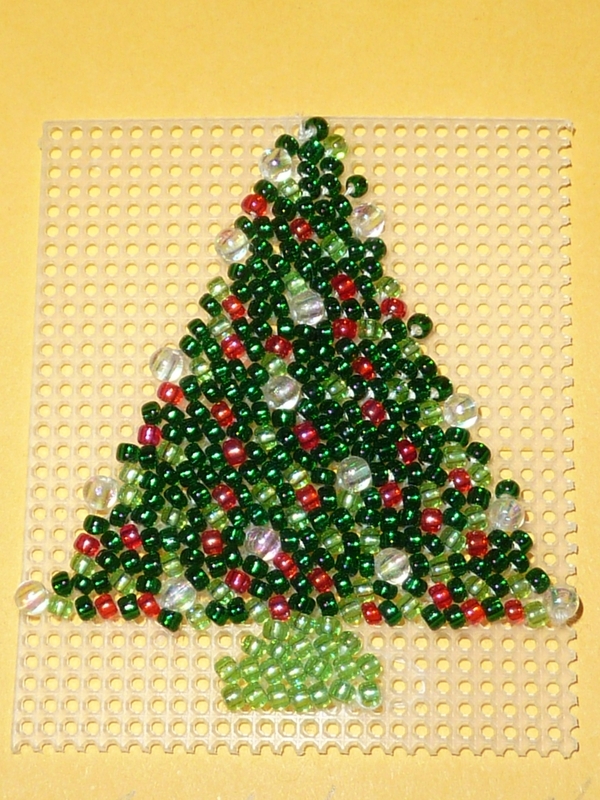 Use mostly green ones with a few extra colours for the decorations. 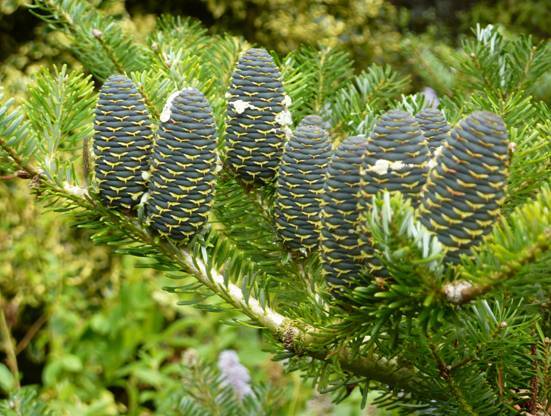 Sew them onto the canvas in a conifer shape. You can then cut away the surrounding canvas if you want to and tie a loop of thread into the top. Thank you for writing in David. 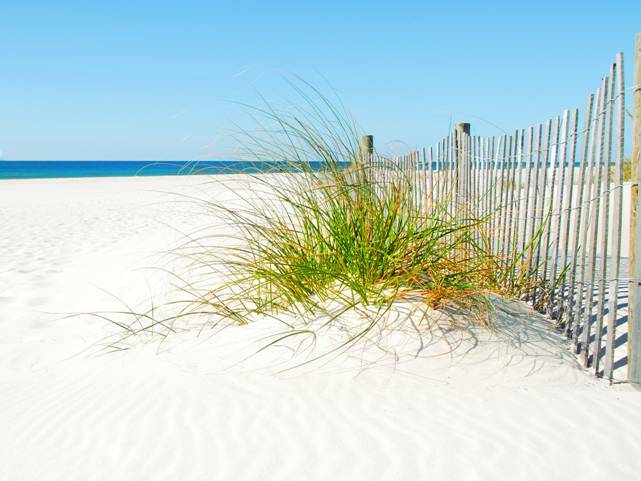 A new blog post is released every Fun Friday. Thanks for your comments fatid. This is year four of my blog.